Every small business should be seriously considering the move to Google Apps. In addition to email, document management, file storage, shared calendars and contacts, and website hosting, there is also the amazing Google Apps Marketplace. This fantastic store offers users access to hundreds of amazing tools that integrate directly with Google Apps. For example, I recently installed myERP, a free enterprise resource planning tool and I couldn't be happier. I'm even considering switching R-Squared over to myERP. There are so many amazing tools available that it just isn't practical to list them all here. If there is a specific business tool that you use over and over, go ahead and try to find it. You'd be amazed at how many companies are taking advantage of Google's API and are developing plugins to their software for Google Apps. And even if you don't find the particular app you use, there is probably another one that does the job there now. You can't beat the flexibility, ease of use and convenience of Google Apps. Stop spending money on infrastructure and equipment that will be obsolete in 3 years. It's a bad investment. Let Google pay for the hardware while you pay for the benefits. 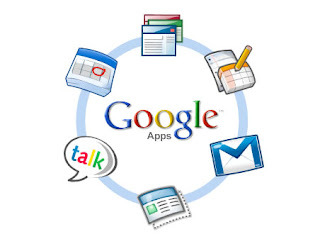 If you need help transitioning your company to Google Apps, give us a call. We've successfully migrated most of our clients already and we'd love to help you too. Call today 305-423-9574. --- End blatant sales pitch. Has your company made the switch to Google Apps? How do you like it? subscribe to my RSS feed or join my email list.